Georgia requires those caught not carrying mandatory liability insurance to purchase Georgia SR22A insurance and to file an SR22A form. This is the “Georgia Financial Responsibility Insurance Certificate.” It proves that you will be financially responsible in the event of a future accident. It is the same as the SR22 form used in other states, except that Georgia requires you to pay for your SR22A policy up front, which guarantees that you will remain insured for at least 6 months. If you do not own a vehicle, you will need to purchase non-owner SR22A insurance. This is a liability policy that will cover other vehicles and drivers in the event of a future accident. It will not cover you or the vehicle you are driving. You will want to make sure that the vehicle you are driving is fully insured by its owner. Unlike many states, Georgia does not require SR22 or SR22A insurance after a DUI. However, if you get a DUI in another state that does require an SR22 filing for a DUI, then you will likely need to purchase SR22 insurance to fulfill that state’s specific requirements. You may be required to carry SR22A insurance for 6 months to 3 years, so it is important to find a price you can live with. While a non-owner SR22A policy may be cheaper than an owner’s policy, this still doesn’t mean it will be cheap. You can save yourself a lot of money by shopping with a broker who uses many insurance companies, like FR44 & SR22 Experts, LLC. 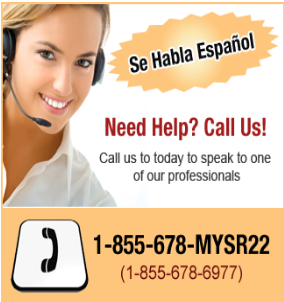 For more information about Georgia non-owner SR22A insurance, contact us at 1-855-678-6977 or get a free quote here.